Isn’t This What Religion Should Look Like? There have been a couple of good news stories come out of Egypt this week, that I thought were well worth highlighting. Firstly, Muslims defended Coptic Christians as they celebrated Coptic Christmas. 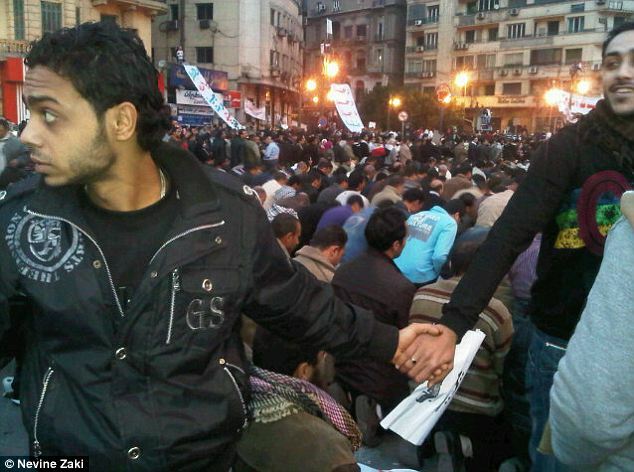 Then yesterday it emerged that Christians had been defending Muslims as they prayed in Tahrir Square, leading to this powerful image. And this video shows some of the violence that those forming the ring were facing. Religion shouldn’t be about suicide bombings or Quran burnings, but about defending the vulnerable. I just hope that this is a sign of things to come in Egypt, and also that the ‘tolerant West’ can learn a lesson from the supposedly ‘extremist Middle-East’. Previous: Previous post: Got A Question? Next: Next post: In 1 Peter 2:13-17 it states, “Submit yourselves for the Lord’s sake to every authority instituted among men…” Where should Christians stand on political protests seeking regime change, such as those seen in Tunisia & Egypt recently?